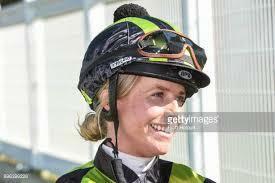 After breaking her leg in a freak mounting yard accident at Sale six months ago, it has not taken long for our apprentice, Jess Eaton, to get back to the winners stall, booting Finn McCool home in the Avoca Cup. Jess has been back race riding for about 3 weeks, but had done a huge amount of work prior to that at the stables and the track to get back into the rhythm of things and build up her fitness. Her dedication and drive are exceptional, so we are confident that there will be many more winners heading her way. We would also like to take this opportunity thank the many trainers that have been willing to support Jess on her return to race riding.